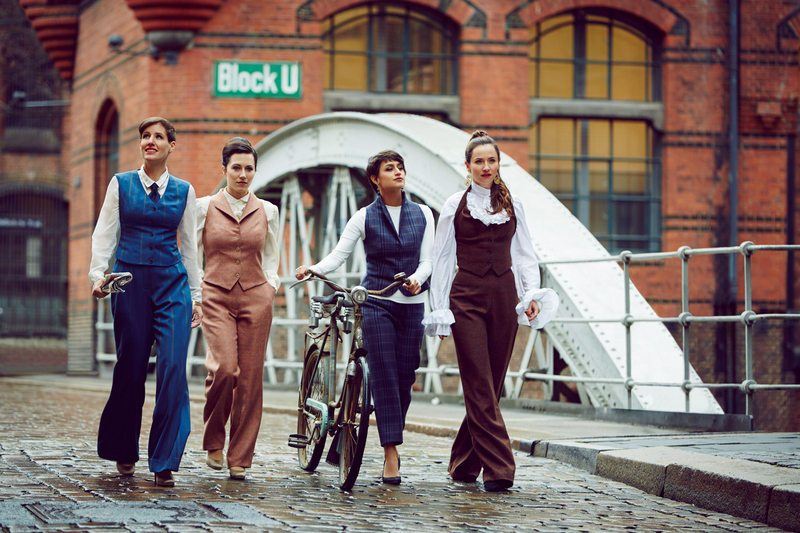 After their last program A Women Thing, a congenial homage to their musical heroines, Les Brünettes simply wanted a "boy thing". And who better to take on than the boygroup of all boygroups: The Beatles. Through the eyes of four women, a gripping close-up of the Fab Four's life and music was created. To get even closer to the Beatles spirit, Les Brünettes even recorded this album at the famous Abbey Road Studios in London - the place where Paul, George, Ringo and John wrote and recorded many of their world-famous songs. Musicians, fans, biographers and contemporaries still fathom the secret of the Beatles: How could these four normal guys from Liverpool become lightning conductors of the longings of an entire generation? Certainly also because they were a real "band" - more than just the sum of their parts. Four brilliant musicians, four songwriters, four singers and last but not least four friends. Each band member let his musical ideas flow into the band, which contributes to the enormous variety of their music. 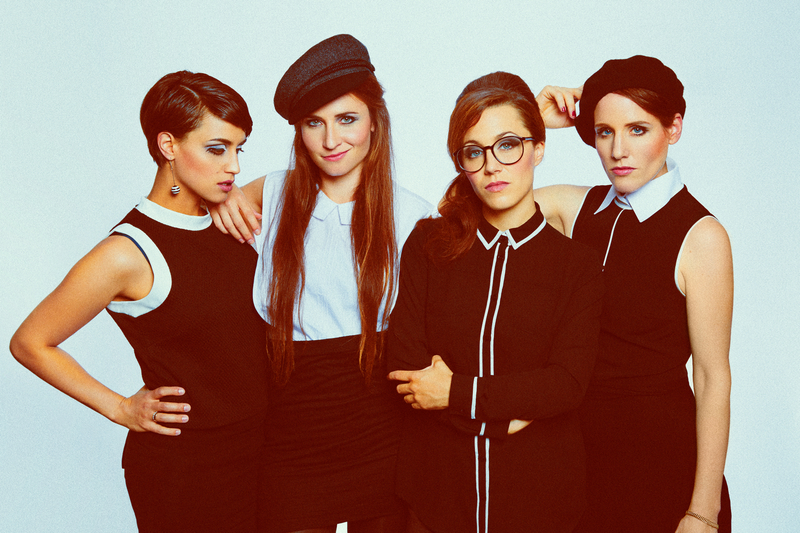 A band concept that Les Brünettes also live and love, and with which they allow themselves to constantly tread new musical paths beyond the a cappella mainstream. 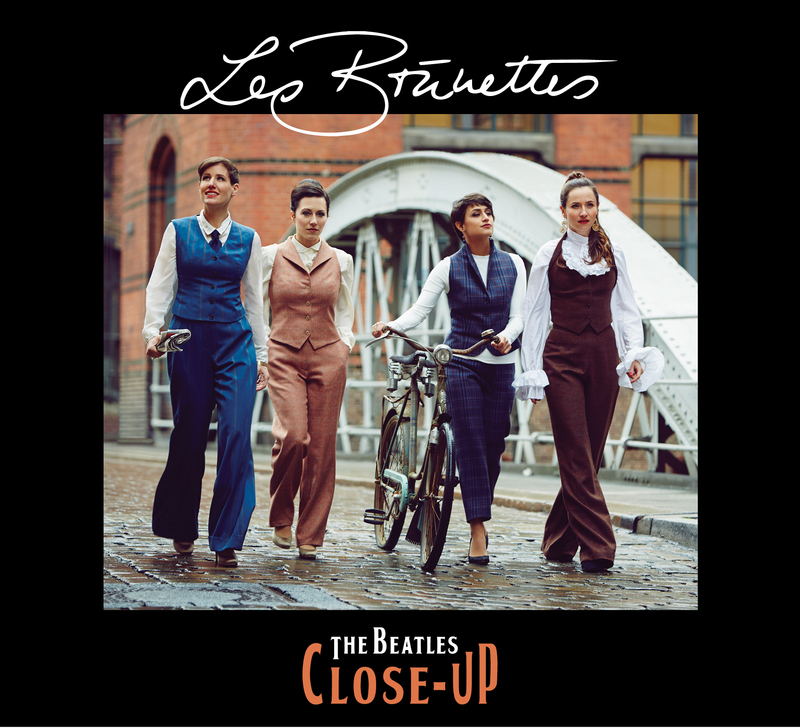 It is a feast to experience how Les Brünettes put their enormous vocal possibilities at the service of these timeless songs - not only for die-hard Beatles fans. In their arrangements the four are inspired by the mushroom heads to creative, playful, sometimes cheeky flights of fancy. They dust off the much-heard big hits, discover more unknown songs and surprise with cross connections between the pieces. In their own pieces Les Brünettes also describe as songwriters what touches them about the Beatles' stories - they read between the lines of the songs, question and reinterpret them and even let Yoko Ono have her say. The musical spectrum from the lightheartedness of the early years to the late creative phase of the Beatles with their more complex song structures perform Les Brünettes on stage rousing, sensual and full of energy. Short scenes, dialogues and film clips frame the music with a dramatic arc that throws ironic, bizarre, thoughtful but always surprising highlights on the most famous pop band of all time. Each of the four exquisite musicians brings her own, very personal approach to the Beatles to the show, which despite or precisely because of the deep respect for their musical work is never just nostalgic indulgence. Rather, it is a total work of art that rocks, grooves, swings - and always goes straight to the heart with the warm and harmonious harmony of the four female voices.